UADA - New Videoclip "Cult Of A Dying Sun"
American black metal cult UADA have launched a new video clip! "Cult Of A Dying Sun" was filmed on the active stratovolcano Mt. St. Helens (Louwala-Clough) in the Gifford Pinchot National Forest - Skamania County, Washington. Including Iron Creek Falls, Windy Ridge Viewpoint, Norway Pass & Spirit Lake. Video by Occultus Visum. German old school death metal force DEMONBREED strikes back with a vengeance! The band will release a mini album entitled "Hunting Heretics" on 14th December 2018 via Testimony Records. The follow-up to the debut full-length "Where Gods Come To Die" (2016) features five bonecrushing new tunes and was recorded and produced by guitarist Fernando Thielmann who also plays drums on this new release. The lyrical concept deals with the era of the inquisition and the persecution of heretics. 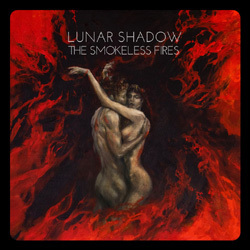 German metallers LUNAR SHADOW will enter Glooven Studios in Leipzig to begin work on their sophomore album, “The Smokeless Fires”, which will see the light of day in early 2019 via Cruz Del Sur Music. The follow-up to 2017’s “Far From Light” will mark the first LUNAR SHADOW album to feature new singer Robert Roettig, who replaces Alex Vornam. After a couple of live appearances with DESASTER, SPELL, TOKYO BLADE and VISIGOTH and a much-needed break away from the guitar, lead guitarist Max ‘Savage’ Birbaum started assembling new songs, which, as he explains, will take LUNAR SHADOW in a new, but also familiar direction. After some silent months that have went over to silent years, German Metallers CHAPEL OF DISEASE now present their newest work entitled “...And As We Have Seen The Storm, We Have Embraced The Eye”! The album will be released on 23rd November 2018 via Ván Records, followed by several live activities 2019. Starting in 2008 as a band dwelling in the raw death metal sounds from the late 80s, CHAPEL OF DISEASE released their debut “Summoning Black Gods” in 2012. Three years later it would soon become obvious that strictly following a certain genre would eventually lose its attraction to the band. With their 2015 full-length “The Mysterious Ways Of Repetitive Art” the band would find their way of mixing up sounds to create something unique. With “...And As We Have Seen The Storm, We Have Embraced The Eye” CHAPEL OF DISEASE follow that path, yet disregarding any genre specific expectations even more and putting all the effort in simply making diversified, enthralling heavy music. The outcome is a record somewhere between the atmosphere of black and death metal, with riffing from the golden days of the 70s and soundscapes of the synthie 80s. 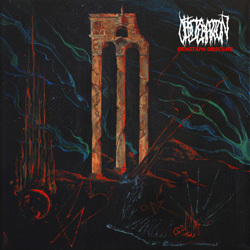 Norwegian Death Metallers OBLITERATION will release their fourth studio album titled “Cenotaph Obscure” on November 23rd via Indie Recordings! The band will also hit European roads this Fall, together with The Ugliest Band in the World, Aura Noir, and Norwegian thrash force Vorbid. Following their now classic Nekropsalms (2009) and the harrowing Black Death Horizon (2013), the latest offering further expands on the quartet's trademark sound; lead heavy oldschool death metal with distinct flavours of both doom and black metal. Inventive yet never difficult to grasp, technical without wankery and obscure without being diffuse, OBLITERATION are masters at their craft. Cenotaph Obscure was recorded in Studio Cobra, Stockholm with Martin "Konie" Ehrencrona at the helm, lending the album an organic yet in your face production. In perfect keeping with the music, the lyrics deal with dystopic, apocalyptic themes, extinct civilizations and interdimensional portals etc. With Cenotaph Obscure, OBLITERATION cement their status as leaders in the Norwegian death metal scene, delivering a grizzly yet flawless monument to Death metal the way it was meant to be; obscure, ominous and unpredictable. "- Einar Sjursø ( Virus, Infernö. Duplicate Records). SACRAL RAGE - New Video "Samsara (L.C.E.)" Promising Greek speedsters SACRAL RAGE will release their highly anticipated sophomore full-length, “Beyond Celestial Echoes”, on October 19th via Cruz Del Sur Music! The follow-up to 2015’s “Illusions In Infinite Void” was recorded between Ignite Studios (drums, rhythm guitars) and White Socks Studios (vocals, bass, lead guitars and keyboards) with mixing and mastering being handled by Stamos Koliousis. The album’s cover art was created by Dimitar Nikolov. Pre-orders (CD + different vinyl versions) are possible at Cruz Del Sur Music's online shop! German true metal ensemble HAMMER KING will release their third full-length, “Poseidon Will Carry Us Home”, on October 5th 2018 via Cruz Del Sur Music. Recorded at Studio Greywolf with POWERWOLF bassist Charles Greywolf at the helm, “Poseidon Will Carry Us Home” is an unabashed bow to classic, anthemic, hook-laden metal, proving HAMMER KING was more than up to the task of meeting the often-high expectations that come with a band’s third album. Ván Records proudly presents “The Wheel” – the new full-length of Denmark’s SLAEGT and follow-up to the critically acclaimed “Domus Mysterium” from 2017! "The Wheel" will be released on the 5th of October 2018 as digipack compact disc, gatefold vinyl record and digitally via the known channels. Since their foundation in 2011, SLAEGT have found a very own, unique style of playing heavy metal. Stylistically influences are drawn from a broad spectrum of such diverse movements as the NWOBHM, the black metal scene(s) of the 80’s and 90’s and everything in between and beyond. SLAEGT plays an epic blackened heavy metal but without any kind of limitation when approaching the style. “The Wheel” is an album that showcases a band that has grown without forgetting, where it came from. A band that is hungrier than ever before, and who knows, that more is to come. A band that is called SLAEGT, who is way more concerned with personal expression and writing the best songs possible, than adhering to fashions and mundane attractions. New Jersey / USA based Death Metallers SENTIENT HORROR will soon embark on their first ever trip to the old continent! Don’t miss the European live premiere of their highly acclaimed releases "The Crypts Below" (EP, 2018) and "Ungodly Forms" (Full-Length, 2016) on the following dates, supported by CARNAL TOMB. SENTIENT HORROR (USA) & CARNAL TOMB (GER) / "Tombs Of Horror Tour"
THE ORDER OF APOLLYON - New music video "Trident Of Flesh"